Drawing on the different aspects of enterprise, our business studies resources enable students to delve into ways of entrepreneurial thinking, for Cambridge IGCSE®, A Level and IB Diploma. Getting access to academic understandings of business activity, organisational management and marketing prepares students to face everyday challenges within the industry. Important elements of business studies, such as finance and accounts, growth and sales forecasting are essential to businesses and wider industry leaders. 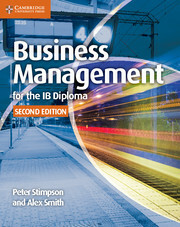 Using our business studies books, students can develop their skills and work towards a career in whichever strand of business studies they choose. Our collection of business studies resources and digital tools tap into the granular details of business management, from the ways in which individuals interact with organisations, to the application of business theory and global market considerations. 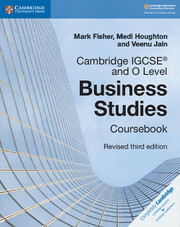 Our Cambridge IGCSE® Business Studies revision guides provide real life examples for students to analyse, while our A Level and IB Diploma guides motivate students to recap their learnings in an easily-digestible way. If you need assistance in choosing the best business studies books for your students to prepare for their exams and the real business world, contact your local sales consultant for more information.